When It Comes to Your Loved One – Everything Matters and It Matters to Us. Even before Phoenix Senior Living became a defined thought, I always wanted to do something that made a difference and leveraged the most important resource available to any of us – people. People helping people. People engaged in a common cause with passion and commitment. I have always believed it takes all of us working toward a common goal that accomplishes anything great and sustainable. As we created the company, we named the company Phoenix – which means a rebirth – new opportunities and new meaning. My vision, goal and ultimate hope was to offer an environment, care, programs for seniors and opportunities for associates that gave them a new perspective on life – a rebirth of what could be. Even with aging and the complications that can accompany it – we can offer purpose, hope and a joy for living – all in a safe environment, delivered by people who care – our Phoenix associates. Of all my learning's over many years, one of the most poignant, enduring and above all humbling was recognizing the impact of our front line associates on our seniors and their families – they are the heartbeat of our senior living organization. They are the people who touch the lives of the seniors and their families every single day – they put a smile on the face of our residents, they make their world better and safer – they become extended family members of our seniors and their families. After many years in this industry, I am convinced that many of our associates see their role with Phoenix as a calling. They know and care about the lives they touch each and every day and understand that what they do matters. It matters to our seniors, their families and to us. 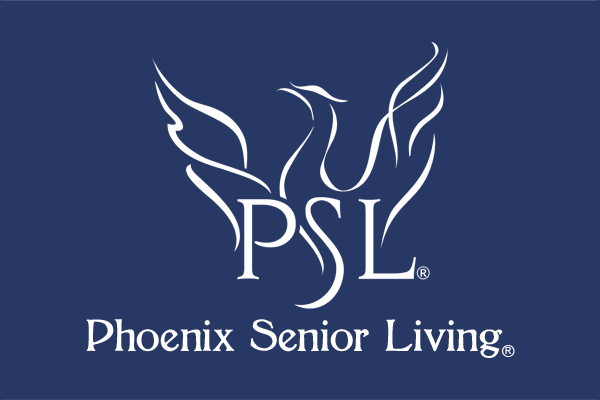 Phoenix Senior Living will always stand firm on a philosophy of Live, Love, Thrive as a way of life and a way of approaching life – for our residents, their families and our associates. It is possible for all ages. Today as our Phoenix journey continues and we continue to make a difference in the lives of so many seniors and their families, I remain steadfast in my belief – we are people serving people. Above all – I want Phoenix Senior Living to be a company for the people (our seniors and their families) by the people – our associates. People serving people – I want associates that truly believe in what they do each and every day because it matters to them. I also want an organization built on the premise – our associates know they matter to us – because they do – and it is supported by the positive work environment we provide to them each and every day. It all matters!